CEO, Fritz Heirich as Mr. Monopoly, provided an overview of ASCIP’s financial strength and recent accomplishments, including updating the workers’ compensation MOC, expanding the self-funded medical plan “Doc In A Box” program, and returning $10M in rebates to members. ASCIP’s priorities include helping members protect children from abuse and addressing the escalating cost of property losses. John Whalley and John Chino both provided an overview of the insurance markets’ “Game Board”. Whalley explained that health care costs are rapidly rising with pharmacy being one of the fastest growing components. Chino explained that there is plenty of surplus in the market. However, there is much volatility, especially due to foreign terrorist attacks, cyber concerns, increased sexual abuse and molestation claims, higher jury verdicts and the recent wildfire devastation. Two ASCIP members were honored with the Excellence in Risk Management award – Lennox SD and Palos Verdes Peninsula USD. This award not only comes with recognition, but also $10,000. Each were selected for their proactive use of ASCIP risk management and loss control services during the 2017-18 year including risk transfer consultation, completion of safety and security assessments, industrial hygiene services, participation in training seminars, and use of ASCIP’s online resources. Members attending stated that the highlights of the day were the amazing jazz performance provided by the Garey High School Jazz Orchestra from Pomona USD, and the Ethics discussion provided by Tom Tropp from AJ Gallagher. Tom shared that the best organizations have moved beyond simply compliance with what is required, to “ethical” shared values – embracing not only universal values that apply to everyone, but also considering unique values of individuals. The ASCIP 2019-20 rates are a key focus of the event. Despite the growing size of claims, Fritz stated that ASCIP is able to hold the Property & Liability renewals to less than double digits with an overall increase of 7.3%. Nidra shared good news and congratulated the workers’ compensation members for working hard to control costs, resulting in a base rate decrease of 3.5%. Dan concluded the rate discussion sharing that it is early for exact benefit renewals, but projected premiums will again be either declining or under double digits. Knowledge Saves Lives was the members’ choice for the best service partner costume depicting gladiators in the game of Risk. 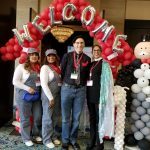 The Baldwin Park USD team won for best member costume as Loteria cards. And Martha Avila Garcia from Mountain View SD, had the most Net Worth at the end of the “game” including ASCIP bucks and Value Deed cards highlighting services. She collected more than $17,000 in net worth as part of the ASCIPopoly activities winning an all-inclusive trip for two to Las Vegas. 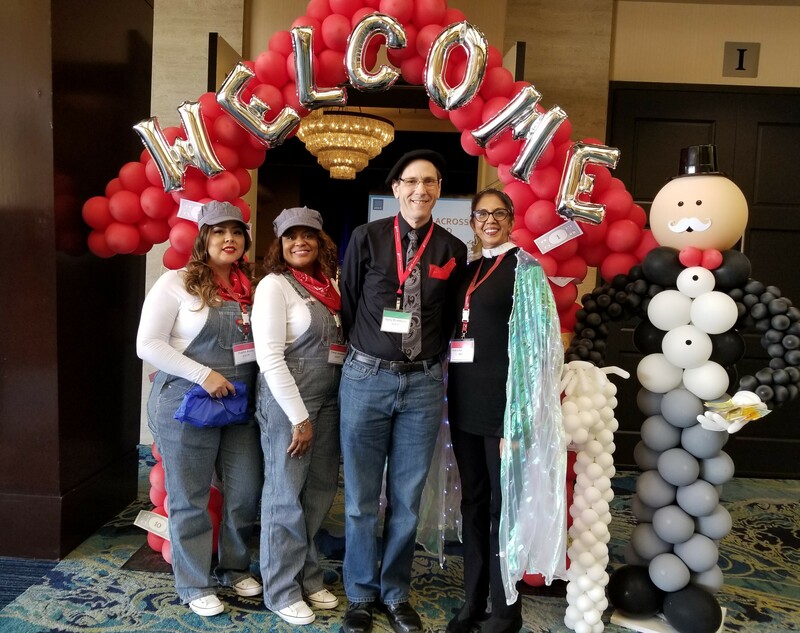 As the “game” concluded, members shared great suggestions and theme ideas for next year’s membership meeting which is already in the planning stages for March 6, 2020 at the same City of Industry location.